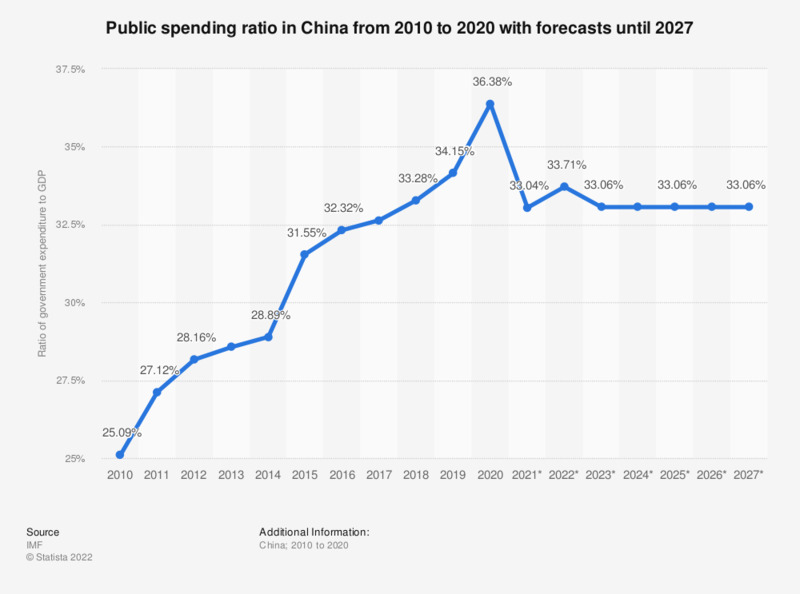 This statistic shows the public spending ratio in China from 2013 to 2017, with forecasts until 2023. In 2017, the ratio ranged at about 31.5 percent of GDP. Public spending ratio denotes the relationship between public spending and gross domestic product (GDP).